For the past year in Champaign-Urbana, we have been regularly prodded with public relations reminders that the University of Illinois is celebrating the 150th anniversary of its founding in 1867 as a land grant university, the Illinois Industrial University. We congratulate them for their commitment to preparing the civil servants, leaders, and visionaries of the next generation, but it is also a cue for us to think about all the former UIUC students who have grown up and left their marks in entertainment and the arts since leaving these here Twin Cities. What this leads us to acknowledge is how many of them we’ve never received an opportunity to know. As an example, we skimmed through this on-line collection hosted by the News-Gazette of salutes from UIUC “famous formers” and – little surprise – recognized very few of the names or faces tagged in the “Media” and “Arts” categories. The same goes for this informal survey posted to the UIUC Web site last winter that concentrates on graduates working in film and television. We’ll presume that many more individuals partake in “the biz” than are accounted for here. Two alumni neglected in those sources have left us during the summer months, previously carving out disparate careers that dealt with the act of creatively shaping the written word for the screen. More recently, The Hollywood Reporter noted the death of screenplay author, instructor, and workshop mentor Thomas Rickman on Sunday, September 9, at the age of 78. Raised with few modern comforts in Kentucky among a distinctive culture in the South that would heavily inform his storytelling, Rickman attended UIUC as an English graduate student in the late Sixties and co-founded the Depot, an experimental theatrical space in downtown Urbana’s former train station that now houses the Celebration Company. Subsequent enrollment in the fledgling American Film Institute of California helped encourage him to take up professional scriptwriting after making a couple of well-received student film shorts. He would peak a decade later with the smash Burt Reynolds vehicle HOOPER (1978) and the biographical COAL MINER’S DAUGHTER (1980) starring Sissy Spacek as country music legend Loretta Lynn. Rickman’s work on the latter brought him an Academy Award nomination in early 1981 for best adapted screenplay, while fellow UIUC alumnus Richard Alan Greenberg earned his own Oscar nomination in 1988 for his contributions to the science-fiction action film PREDATOR (1987) with superstar Arnold Schwarzenegger. Greenberg, a Chicago native who passed away on Saturday, June 16, at age 71, became famous in the industry after finishing his graduate school and teaching years at UIUC and UI-Chicago to join business-minded brother Robert in New York City. Following a handful of underwhelming commercial assignments, as told to The Art of the Title in a wide-ranging interview, the siblings formed R/Greenberg Associates and lucked into the challenge of designing dynamic titles for the opening crawl of SUPERMAN THE MOVIE (1978), pulling off a bold and memorable sequence. This led directly to the game-changing motion title work of ALIEN (1979) and cemented their path for the next 20 years, a run that ended in the late Nineties after Richard stepped away from an R/GA satellite office in Los Angeles and Robert shifted the company focus towards new media and digital branding. Many blockbuster and prestige releases received the crisp and elegant R/GA treatment such as ALL THAT JAZZ (1979), ALTERED STATES (1980), FLASH GORDON (1980), BLOW OUT (1981), ENDLESS LOVE (1981), THE WORLD ACCORDING TO GARP (1982), BODY DOUBLE (1984), LADYHAWKE (1985), THE UNTOUCHABLES (1987), DIRTY DANCING (1987), BRAM STOKER’S DRACULA (1992), THE JOY LUCK CLUB (1993), INDECENT PROPOSAL (1993), SEVEN (1995), and MISSION: IMPOSSIBLE (1996). 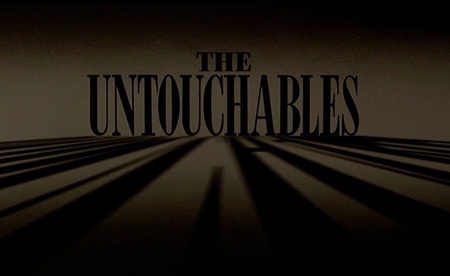 Television title design included SMITHSONIAN WORLD (1982), ALFRED HITCHCOCK PRESENTS (1986), and MASTERPIECE THEATRE (1993), while the firm occasionally branched out into visual effects for the likes of XANADU (1980), RESURRECTION (1980), THE DEVIL’S ADVOCATE (1997), and the aforementioned LADYHAWKE and PREDATOR. 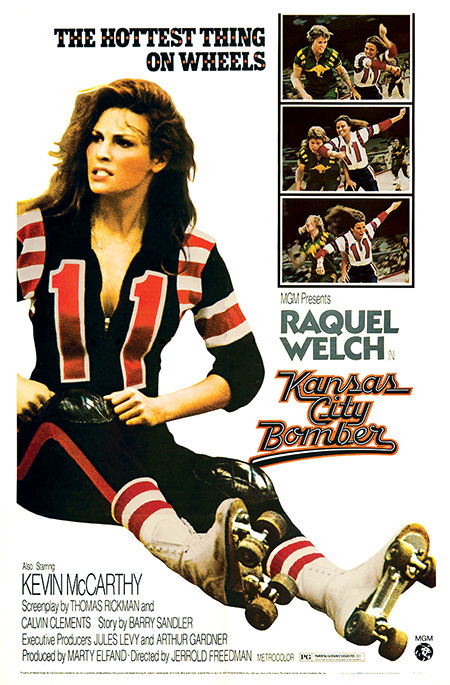 Other films written by Rickman include KANSAS CITY BOMBER (1972), THE LAUGHING POLICEMAN (1973), THE WHITE DAWN (1974), EVERYBODY’S ALL-AMERICAN (1988), a second Reynolds caper, W.W. AND THE DIXIE DANCEKINGS (1975), and BLESS THE CHILD (2000), a supernatural thriller headlined by Kim Basinger and directed by another Illinois alum, Chuck Russell. His résumé is about split between theatrical releases and broadcast productions like TRUMAN (1995) starring Gary Sinise, which earned him an Emmy nomination, and TUESDAYS WITH MORRIE (1999) with Jack Lemmon and Hank Azaria, winning him a Writer’s Guild of America award for adapting the bestselling book by Mitch Albom. Each directed a handful of television episodes and a sole feature film. Greenberg was hired to orchestrate the weirdness of LITTLE MONSTERS (1989), a manic comedy with Fred Savage as a boy who befriends an actual monster under his bed, Maurice (Howie Mandel), who belongs to a secret underworld of goofy pranksters who prey on the fears of human children. 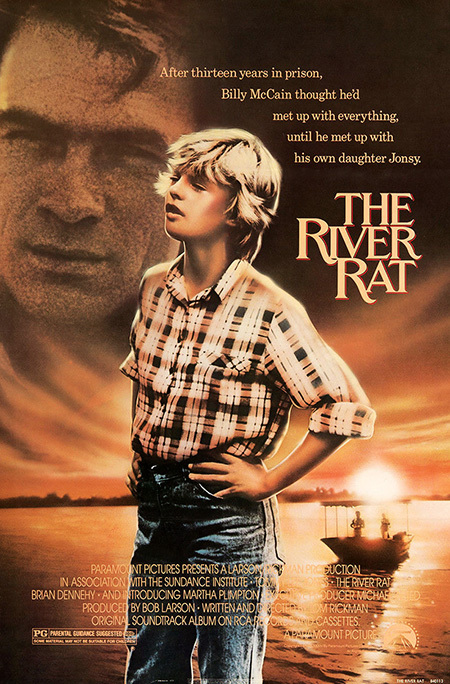 In contrast, Rickman traded on his post-COAL MINER’S DAUGHTER notoriety to make the regional drama THE RIVER RAT (1984) from his own screenplay, in which Tommy Lee Jones, Martha Plimpton, and Brian Dennehy’s characters sail down the Mississippi River in search of a stash of money. Neither opened wide or caught the public’s fancy. Even then, the overall achievement of these men is proof enough that one can make a sizeable mark on the motion picture without exclusively aiming “to direct someday” and overlooking niches where one’s talents might earn dividends. We also felt it our Confidential duty to honor them since we’re certain the Illinois graduates of the immediate future will otherwise be hard pressed to learn about their predecessors in cinema when the university self-promotion machine can’t seem to get past the Eberts, Lees, and Offermans of our world. Maybe it goes without saying at this point that we never met Rickman or Greenberg, either, but clearly we can learn much about their character by the legacy they left behind. To that end, we close with a handful of prompts for those dearest reader-ethnographers who would like to take a deep dive into their respective formative years. The video shared here from the series BOOKMARK, hosted by Don Noble and produced at the University of Alabama in 2010, features Rickman in conversation about his upbringing and its influences on his writing career. We also can glean his early perceptions of the business from his visits to the UIUC campus as a guest speaker at Unit One/Allen Hall, covered by the Daily Illini in late 1972 and early 1975. Greenberg would represent in Urbana at a retrospect of his movie type design hosted by the Krannert Art Museum between March and May of 1995; the rare print catalog for this exhibit offers glimpses of his award-winning student film STOP, which brazenly juxtaposes patterns of the word “stop” with his own footage from the tumultuous 1968 Democratic National Convention. (The short is embedded in the Art of the Title article linked above.) Finally, several homegrown salutes published in the Chicago Tribune, Chicago Sun-times, and Chicago magazine after Greenberg’s death are distinct in their appreciations, the piece by his sister Carol Felsenthal being rather candid about his lifelong eccentricities and struggles. p.s. We offer an additional RIP to the great Burt Reynolds, who zoomed off into the eternal sunset with a wink and a smile on Thursday, September 6, at age 82. In his honor, we’re still going to do what they say can’t be done … even though we’ve got a long way to go and a short time to get there. p.s.2 When Quentin Tarantino likes something vintage – for instance, a Thomas Rickman novelization or, say, Burt Reynolds – he really, really, likes it. This entry was posted on Monday, September 24th, 2018 at 8:00 am	and is filed under Alums Done Good, Gone Hollywood, Media Coverage, Sad Places, Student Film, The Old School. You can follow any responses to this entry through the RSS 2.0 feed. Both comments and pings are currently closed.